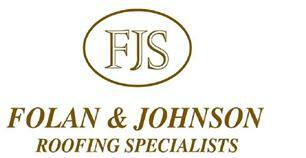 Folan & Johnson Roofing Specialist Ltd - Roofer, Tiler - Tiling based in Horley, Surrey. We pride ourselves on attention to detail from quoting to the completion of the works. We are proud to say that we are a member of the National Federation of Roofing Contractors. We offer a complete range of Roofing services, from complete re-roofing to minor repairs. Specialising in Slate roofing, Handmade peg tiling, Plain tiling & Flat roofing. Horley, Reigate, Redhill, Crawley, East Grinstead, Dorking, Surrey, Sussex, Kent.